Methylsulfonylmethane, or MSM, is also known as methyl sulfone and dimethylsulfone (DMSO2). It is a sulfur-bearing compound that exists naturally in many fruits, vegetables, grains, and animals, including humans. Its presence and activity was discovered while working with its parent compound, DMSO, of which it is an oxidized metabolite (hence the O2 designation). Although 55,000 papers have been written on DMSO, research on MSM has been more limited. A wide range of therapeutic benefits are attributed to it, along with a high degree of safety, and a low degree of toxicity. Actor James Coburn, crippled by rheumatoid arthritis, praised MSM’s pain relieving benefits. DMSO was first synthesized in a nineteenth century Russian lab, and was investigated for its usefulness as a solvent (a dissolver of other substances). British scientist Lovelock, working with red blood cells and cryogenics—the science of “alive freezing,” reported DMSO as a uniquely helpful agent. Stanley Jacob, M.D., an American working in the 1950s to perfect kidney transplants, found Lovelock’s report on cryogenic uses of DMSO, and met with DMSO chemist researcher, Robert Herschler, Ph.D.
Drs. Jacob and Herschler discovered that DMSO, in addition to being useful in transplant surgery, facilitated delivery of other medications through the skin into the body, and that it had significant pain relieving and anti-inflammatory properties. They also discovered an undesirable effect of DMSO—a fishy taste and body odor. DMSO was approved for veterinary use (1970) in the treatment of joint and muscle related problems. In 1978, DMSO was approved by the United States Food and Drug Administration (FDA) for human use in the treatment of interstitial cystitis only, a painful inflammatory condition affecting many women. With lagging FDA approval, Herschler continued research and discovered that approximately 15% of DMSO turns into MSM in the body, and that the MSM metabolite produced the pain-relieving and anti-inflammatory benefits without the unpleasant odor side effect. Since that time, Drs. Jacob and Herschler, and others by anecdote, have found MSM to be clinically helpful in treating many more conditions, and that it is extremely safe, and has no known toxicity. MSM occurs naturally in some foods including cow’s milk (its highest source). One source specifies the presence of MSM—in descending order—in unpasteurized cow’s milk, coffee, tomatoes, tea, Swiss chard, beer, corn, and alfalfa. Some reports say that natural levels of MSM decline with age. Dr. Herschler believes that the average diet is deficient in MSM because of the foods that are eaten or the way in which they are prepared. However, other sources refute the need for supplementing sulfur in the form of MSM, claiming that dietary sources of sulfur are sufficient. Sulfur-containing foods include cabbage, Brussels sprouts, broccoli, cauliflower (these are all known as cruciferous vegetables), sunflower seeds, garlic, onions, asparagus, avocados, beans, peas, mustard, horse-radish, lentils, soybeans, and yogurt. Dietary sources of the three sulfur-containing amino acids—methionine, cystine, and cysteine—include meat, fish, poultry, eggs, milk, cheeses, and nuts, The cruciferous vegetables are reported to contain other sulfur compounds in addition to the sulfur-bearing amino acids. Nevertheless, many anecdotes cite the benefit of supplementing the diet with MSM. Because of its yellow color, the ancients named sulfur “the sun carrier.” Sulfur is the fourth most common mineral in the human body. Through the ages, its curative uses have motivated many pilgrimmages to hot springs and sulfur baths around the world. Sulfur’s uses within the human body are numerous. In many tissues, it is important in biological processes including nerve signal transmission, facilitative enzymatic processes, insulin production, carbohydrate metabolism regulation, detoxification, and waste removal. MSM, with a 34% bio-availablility of sulfur according to one source, is reported to be useful in treating musculoskeletal, respiratory, circulatory, eliminative, autoimmune, and degenerative disorders. One of the most widely reported benefits is the relief of pain, inflammation, and muscle spasms, especially when related, but not limited to, osteoarthritis and autoimmune disorders such as lupus, scleroderma, and rheumatoid arthritis. MSM is said to reduce and improve the quality of scar tissue; promote improved healing of joints, tendons, ligaments and collagen support structures; soften, renew and strengthen the skin; and increase blood flow. It is reported to improve mucus membranes, thereby reducing food and airborne allergic reactions, and symptoms related to asthma and emphysema; improve vascular smooth muscle growth, reducing the risk of coronary artery disease; and improve athletic performance by reducing lactic acid effects, strengthening muscle elasticity and suppleness, and enhancing fatigue recovery times. It is reported to have an antiparasitic effect, especially against the parasite giardia. Another reported benefit is its tonic effect on the bowels, which increases peristalsis (waves of motion that move food along the digestive tract). This benefit is helpful to the elderly, those with sluggish colons, and those addicted to laxatives. At least one report noted possible anticancer activity. MSM is commonly available in these forms: powder, capsule, lotion, or gel. By itself, the powder is said to have a bitter taste. Users are advised to put the prescribed amount on the forward part of the tongue, followed by a large glass of water. In this way, the powder is dissolved in the stomach, and its bitter taste is not registered by the taste buds, which are located on the back of the tongue. Plenty of water throughout the day is also advised, due to its detoxifying action. Suggested dosages range widely, from one to three grams daily, and up to 18 grams daily with medical supervision. One report suggests taking from two to six grams daily; the optimal dose depends on body size, age, and the severity of the condition being treated. Dr. Jacob recommends that, “A couple of grams a day would be a good general dosage,” and higher doses may be useful to achieve a therapeutic effect. An example of a higher dose is three to four grams, taken for relief of allergy symptoms. The elderly may benefit with as little as one tenth of a gram (100 mg) daily, up to five grams. Encapsulated preparation dosage recommendations may vary according to how many other ingredients—glucosamine sulfate or chondroitin, for example—are included in the preparation. Recommended amounts for topical applications of gel or lotion may also vary. 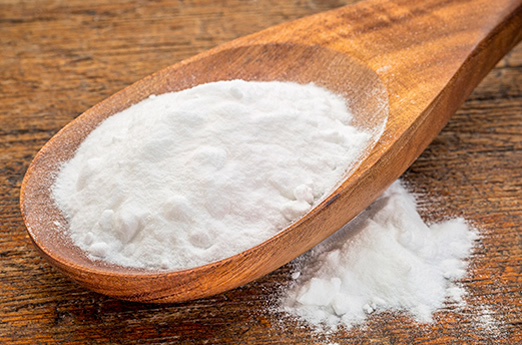 Some sources advise adding an extra amount of powder to a gel or lotion for enhanced effect. MSM has blood thinning effects; therefore caution and consultation with a healthcare professional is especially advised when using medications such as warfarin (commonly known as Coumadin), aspirin, herbals such as ginkgo (Ginkgo biloba), and other supplements such as fish and flax oils, which contain Omega-3. An essential fatty acid, Omega-3 also has blood thinning properties. Product purity is another concern. There are precautions against contamination by other ingredients including bacteria or DMSO, a chemical solvent that is not approved for use by the FDA. One company’s product was recalled due to bacterial contamination. However, no related injuries were reported. Dilution of the more expensive MSM product with less expensive bulk filler ingredients like Epsom salts, is a caution to buyers. Consumer Lab, LLC, lists many of these products on their Web site, with additional ingredients and test findings. One product reported that it achieved “GRAS” (generally regarded as safe) status. The named product, as others, may derive mainly from pine tree lignan. A plant cell wall constituent, lignan facilitates the transport of nutrients up and down the stem or tree trunk. MSM may therefore facilitate movement and metabolism of other drugs, supplements, or nutrients within the body. 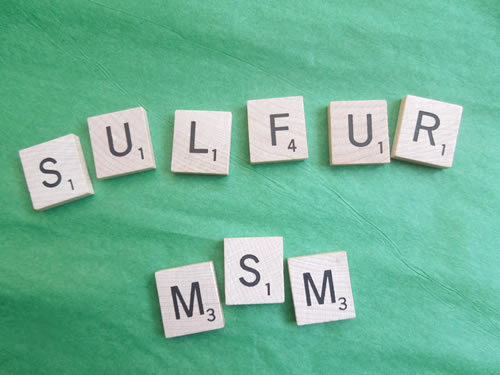 Several reports caution that the sulfur of MSM must not be confused with sulfa drugs or with sulfites used as food preservatives. Some persons demonstrate allergic reaction to one or both of these. Several sources report that few well-designed human studies have been conducted or reported. This factor contributes to the charge that MSM is unproven, while the array of anecdotal testimony points to the contrary. Side effects include gastrointestinal disturbance, such as diarrhea; headache; decreased ability to fall asleep (may occur if taken at bedtime); skin that is softer; nails that are thicker; and hair that is harder. Some reports have claimed that diarrhea or GI disturbances such as hyperacidity, nausea, and inflammation that are part of a stress response prior to taking MSM may clear “dramatically” by using MSM. Two sources report syngergistic interactions that reduced swelling and scarring in trauma patients, involving combinations of MSM and vitamin C. This occurred with additional use of the digestive proteins for starch and cellulose (amylase and cellulase, respectively), fats (lipase), sugars (sucrase, maltase and lactase), and bromelain (from pineapples). The addition of glucosamine HCL is reported to improve MSM effects when used for osteoarthritis. Unfavorable interactions may include blood thinning medications such as Coumadin (warfarin), aspirin, and fish or flax (Omega-3) oil. One source reports studies involving prevention, regression, and promotion of tumor growth. Unfavorable interactions between MSM and chemotactic or chemopreventive agents may exist. The counsel of a knowledgeable healthcare professional is advised.